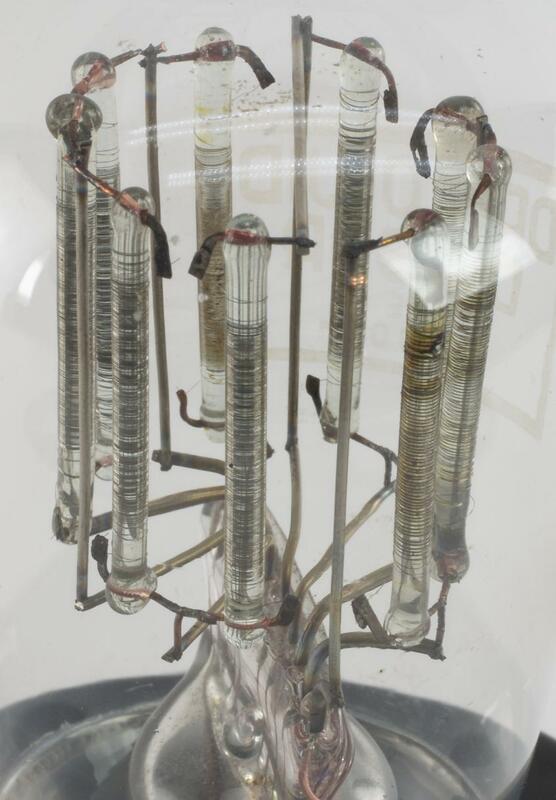 Voltage divider resistors in a glass tube, for mains operation of battery radio. 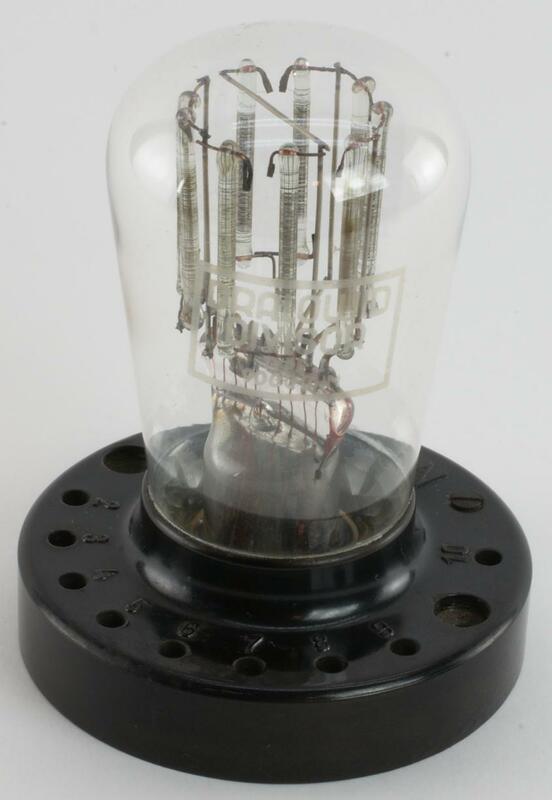 It contains a very fine wire winded on 9 glass stems, with 8 intermediate connections. Base diameter : 75 mm • 3"
Bulb diameter : 50 mm • 2"